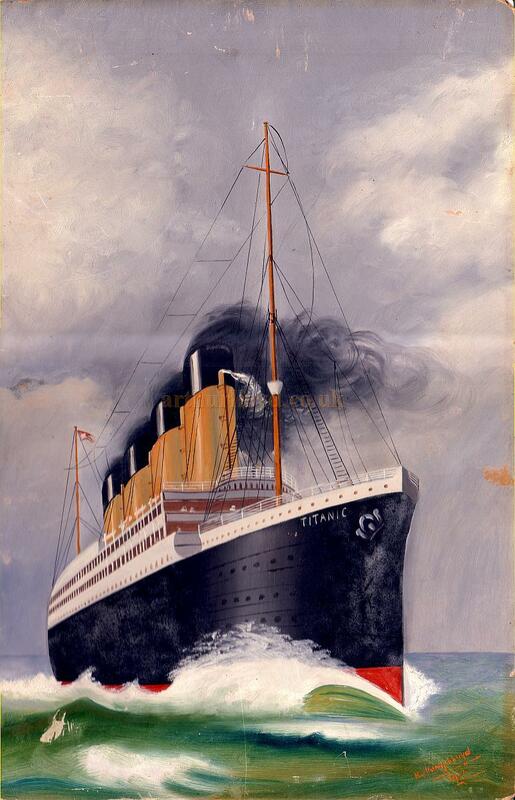 Above - Harry Robert (King) Lloyd's painting of the Titanic, probably from a photograph or postcard, which he did in 1912, the year the Titanic sank. Although it's not that accomplished a painting it's still interesting to note that he attempted it. The painting has been passed down through the family and is currently in my possession. The painting is signed King Lloyd, one of the names that Harry went under. The name King has often been used in the family and comes from Harry's mother, and Arthur Lloyd's wife, Katty King, and her father, the Drury Lane Tragedian, T.C. King. 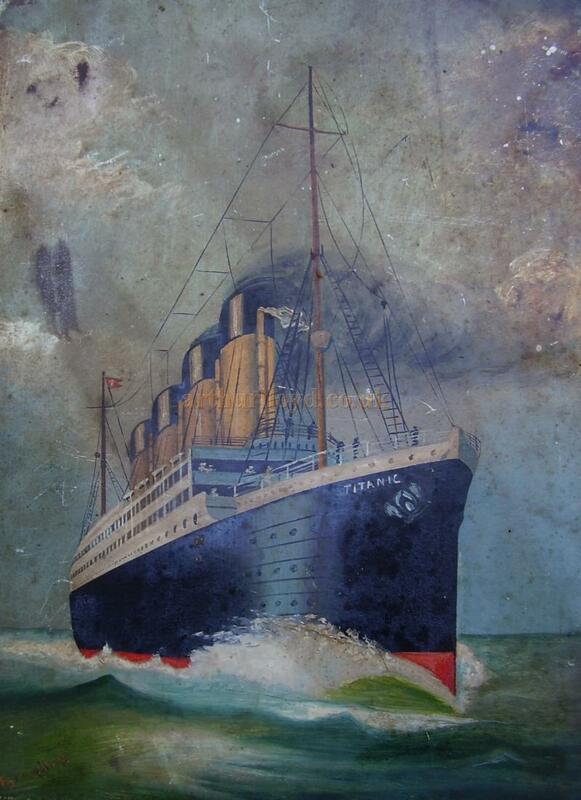 Above - The second of Harry Robert (King) Lloyd's paintings of the Titanic, which is in the possession of Sally Slaney whose mother-in-law's parents, Charles and Maud O'Bree, ran several pubs in the East End of London, three of which were The Fox, The Angel and the Prince of Wales. They probably received the painting from Harry himself shortly after he painted it and by the look of the state of it it is likely that it was hung in one of these pubs for some time. The painting is signed King Lloyd, one of the names that Harry went under. The name King has often been used in the family and comes from Harry's mother, and Arthur Lloyd's wife, Katty King, and her father, the Drury Lane Tragedian, T.C. King.